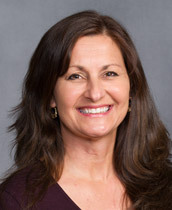 A native of Johnson City, Pam is a board certified FNP by the American College of Nurse Practitioners. She received her BSN from King College where she was recipient of the Nursing Honors Award in 2007. Pam then went on to obtain her MSN, FNP from East Tennessee State University. She is a member of the Christian Medical Dental Association and American Nurses Association. Married and the mother of two children, she enjoys spending time with her family and is active in her local church. Pam is a former youth basketball and baseball coach and lists outdoor activities and the beach as other favorite pastimes.